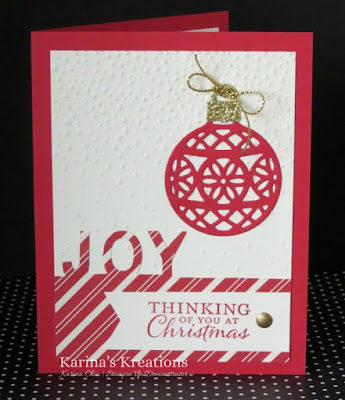 Karina's Kreations: Partial Embossing Technique Card! We're making this cute card in my class today. 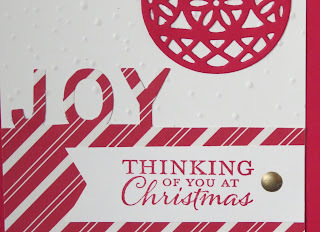 This card uses the Decorative Ornament Thinlit die and the Little Letters Thinlit dies. Do you like the gold element? It's a White Perfect Accent colored with a gold sharpie! I made a video for you showing how to do partial embossing with the Little Letters dies.